We are hugely grateful to our Board – composed entirely of volunteers – who bring with them a huge weight of experience and expertise which has helped to guide everything that we do. Dr Kevin McCoy –Began his social work career as a social work assistant in Co. Down, Northern Ireland. Trained in Social Work at the University of Strathclyde, Glasgow and the College of Deaf Welfare, London. He has a degree in Economics and Social Policy and a masters and doctorate in Public Policy. Employed by Down County Welfare Committee in various posts from 1963 – 1972. Joined the Department of Health and Social Services in 1972 as a Social Work Adviser. Appointed Senior Social Work Adviser in 1973 and Assistant Chief Inspector in 1985. Appointed Chief Inspector, Social Services Inspectorate in 1989 and retired from this position in November 2000. Appointed by the Government in the Republic of Ireland as a Commissioner on the Commission to Inquire into Child Abuse in December 2000.He left the Commission in May 2003. Since then he has provided consultancy services to a wide range of statutory, voluntary and private sector organisations in Ireland, the UK and Europe. As a founding member of ÁT and a person with lived experience of disability, Owen brings first-hand knowledge and understanding to the Board. This ensures that ÁT continues to be person-centred and supportive of the individual, while also working to promote Independent Living. Owen provides training courses on manual handling. He is an active board member for a number of organisations, including Greater Dublin Independent Living, Cheshire Ireland and Lucan Disability Action Group. Ann Kennelly qualified as an Occupational Therapist (OT) from the College of Occupational Therapy, Dún Laoghaire, County Dublin in 1983. In 1994, Ann completed an Master’s degree in Management of Care awarded by the University of Wales and University College Dublin (UCD). As an OT, Ann’s role as a member of a multi-disciplinary team was to provide a range of Assessment and Therapeutic Occupational Therapy services to clients with physical and sensory disabilities. Ann worked in both the hospital and community public services in Ireland, the UK and Canada, and she also worked as an OT and a Regional Manager with the Irish Wheelchair Association (IWA) in the voluntary sector. Ann joined the South Eastern Health Board in 1994 and managed a range of hospital services, before working as the Director of Disability Services in the South East for seven years. In 2005, Ann took up a post as Local Health Manager HSE South for Primary, Community and Continuing Care (PCCC) Services in North Cork. Ann’s final year working for the HSE in 2010 was spent working in the role of Interim National Assistant Director for Disability Services. Ann now works in a private capacity as an OT and is involved with many voluntary groups and individuals with disabilities. Mary has worked for over 10 years at an international level on disability rights and international development. Prior to that she worked with the disability movement in Ireland. Mary completed a PhD in 2014, prior to completing her PhD, she undertook a BA in Economics and an MA in International Economic Development. Mary currently works with CBM International as Senior Advisor on Disability and Gender Equality. Prior to this, she worked with CBM Australia as Inclusive Development Advisor and CBM Ireland. Mary also worked with the International Disability Rights Monitor (IDRM), where she was the coordinator of the IDRM European regional report and authored the Irish report. Mary has also written reports for the UN on inclusive development, contributed to the development of the CRPD committee general comment on women and girls with disabilities and she recently authored the CBM publication: How to make international development disability inclusive, and is a co-author of Inclusion Counts – The Economic Case for Disability-Inclusive Development Mary is the former chair of the Dochas Working Group on Disability and International Development. The working group has been in existence for over 10 years and seeks to influence the Irish government and also Irish development and humanitarian organisations to ensure persons with disabilities are included in Ireland’s overseas aid commitments. She has also been the co-chair of the International Disability and Development Consortium EU Taskgroup. Mary’s PhD research focus was a comparative analysis of how the US, Finland and Australia mainstream disability in their development aid programmes. Her research interests are intersectionality and gender and disability. Brian is a native of Galway. He worked for many years as a solicitor with Irish Life Assurance PLC and Legal Aide Board. Since his retirement, he is currently working as volunteer solicitor with the Irish Refugee Council. He was involved with National Council for the Blind in Ireland (NCBI) as a fundraiser. He is also involve in a charity which support deprived children in Thailand. He used to lecture on family law through citizen advice volunteer. Peter says he was greatly influenced by Liam Maguire, the disability rights activist he met through the Irish Wheelchair Association. When Maguire died in 1983 Peter employed his first personal assistant (financed mainly through funds Peter received as compensation for a minor road accident) in order to research and write Liam Maguire’s biography. This book was published in 1990 by Poolbeg under the title Rebel on Wheels. During the 1980s, as well as working on his book, Peter also got involved in his local community in Donaghmede. He joined the committee of the local soccer club Donaghmede Celtic, and helped found Grange Kildonagh Integration, a group of mainly parents of children with disabilities whose aim was to bring children with and without disabilities together. This group ran a summer playgroup for children with disabilities and their siblings, and also got some children with disabilities into local groups, such as the girl guides and boy scouts. In 1990 Peter was one of seven people with significant physical disabilities who came together, to move forward into the future, independent of their families without institutional care. This led to the establishment of the first Centre for Independent Living in Ireland in 1992. Peter says the years from 1992 to 1994 seem ideal. The policy of employing administrative staff who had no previous experience of working for established disability organisations ensured they fully bought into the philosophy of independent living. In November 2015 Peter joined ÁT and established his company Eagle Free. He says he did so to take back control of his pa service. Gordon is a founding member of Áiseanna Tacaíochta and an active member of the disability movement and has a broad range of experience. Gordon was a Leader in the Irish Wheelchair Association (IWA) self-directed service for sixteen years. For the past eleven years, Gordon has worked in the Accounts Department of the Citizens Information Board (CIB). Gordon is a fellow member of the Institute of Accounting Technicians of Ireland (IATI). He was also a director at Disability Options, a company providing training and support to people with disabilities on Independent Living issues. Gordon participates in the Strasbourg Freedom Drive, an event taking place every two years and organised by the European Network on Independent Living (ENIL). While there, they have met MEP’s at the European parliament and the European Disability Inter Group to try to get the EU to influence member states to improve the rights of people with disabilities in Europe. Gordon has been involved with The Centre for Independent Living (CIL) for the past fifteen years, and he passionately believes in the Philosophy of Independent Living. He has been involved in researching the different models of Direct Payments with CIL for the past four to five years, because he believes it is the future. In early 2018, Gordon was appointed as Board member of CIL. Gordon was also a member of the task force on individualized funding set up by Minister McGrath, which just published the report in 2018. Gordon also set up his own company to assist and support people with Disabilities with their payroll and accounts. Genio is an Irish non-governmental organisation (NGO) that works to bring Government and private and philanthropic funders together to develop better ways to support disadvantaged people to live full lives in their communities. Genio has provided support to us by way of funding and leadership, helping to continuously develop and strengthen our Direct Payments model. DFI represents the interests and the expectations of people with disabilitiesto be fully included in Irish society. It comprises over 120 organisations that represent and support people with all types of disabilities and disabling conditions. The vision of DFI is that Irish society is fully inclusive of people with disabilities and disabling conditions so that they can exercise their full civil, economic, social and human rights and that they are enabled to reach their full potential in life. DFI’s mission is to act as an advocate for the full and equal inclusion of people with disabilities and disabling conditions in all aspects of their lives. DFI has been supporting us since our organisation was established as a pilot project in 2010, particularly in the areas of governance, standards and development. We are an official partner of GoAccessible365.com. It aims to provide a web and mobile-based search facility to quickly and easily source all forms of wheelchair accessible travel, raising standards, promoting independence and pushing social change. 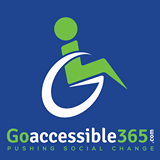 GoAccessible365.com hopes to create a society of ‘universal design’ so transport, accommodation, tourist attractions and venues are accessible to everyone regardless of their situation. The IWA is the national organization dedicated to the achievement of full social, economic and educational inclusion and integration of people with disabilities as equal, independent and participative members of their communities and society. The IWA has been very supportive of us, particularly in the initial stages of helping to identify candidates and supporting those individuals to avail of our model. They also provided us with Senior Managerial Experience. Cheshire Ireland provides a range of support services to people with both physical and neurological conditions in their homes, in residential centres, in supported accommodation and in stand-alone respite facilities. Cheshire Ireland has been very supportive to us, particularly in the initial stages of helping to identify candidates and supporting those individuals to avail of our model. They also provided us with Senior Managerial Experience. 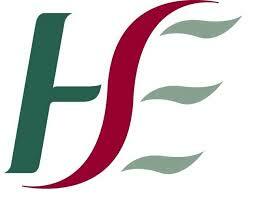 The HSE has been very supportive to the development of our organisation. The HSE facilitated us to pilot the Direct Payments model in the first instance.